The "Individual" class represents a single individual in the genogram. You can obtain a list of all the individuals in the document from the Individuals properties. 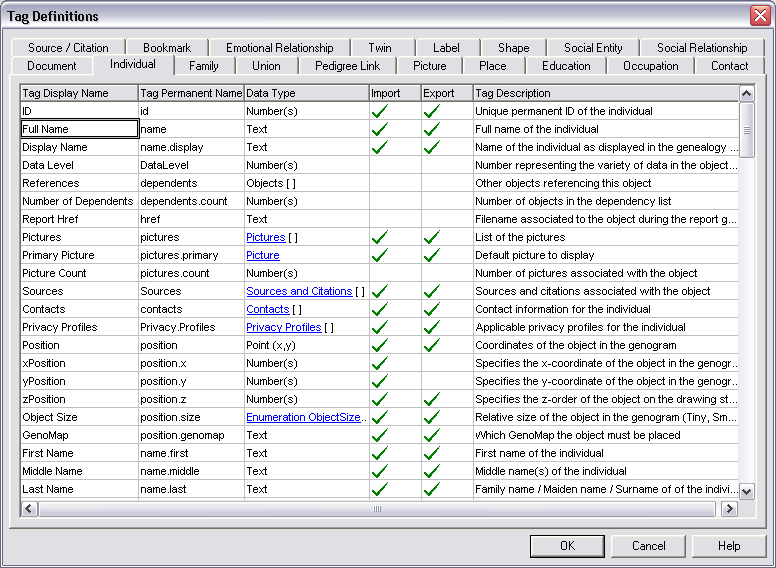 The list of properties that can be called from the Individual class is described in detail within GenoPro. The properties can be viewed via the Tag Definition.